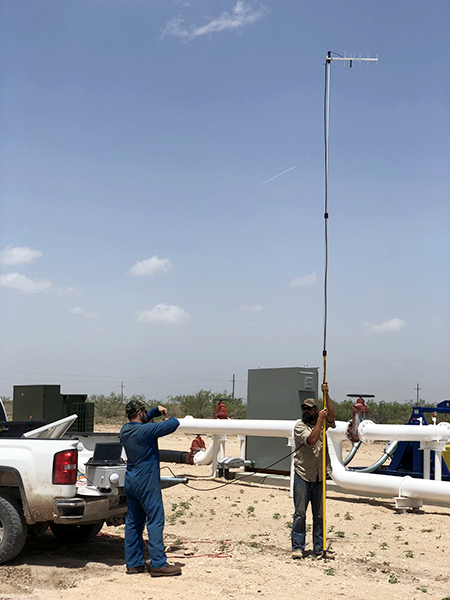 Bentek Systems provides RF Path Study and On-site Path Testing to establish reliable wireless communications for your SCADA or Telemetry application. As manufacturer, supplier, and integrator of wireless data communications equipment, Bentek Systems has an unparalleled expertise in the area of wireless data communications. Our extensive experience with RF and wireless communication systems ensure reliable communication link designs. A path profile is a point to point RF analysis to estimate the RF path from site to site. 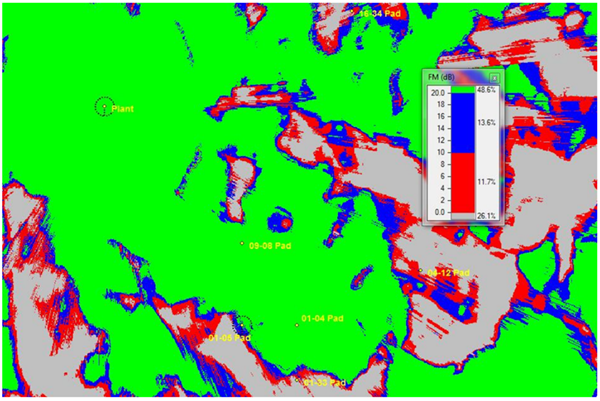 Path profiles are invaluable to determine the viability of a RF path and estimate the antenna height requirements. In addition, the path profile will provide the optimum azimuth angle for antenna pointing. A path profile can also help to optimize the height requirements of the antenna, which will translate to cost savings on your project. 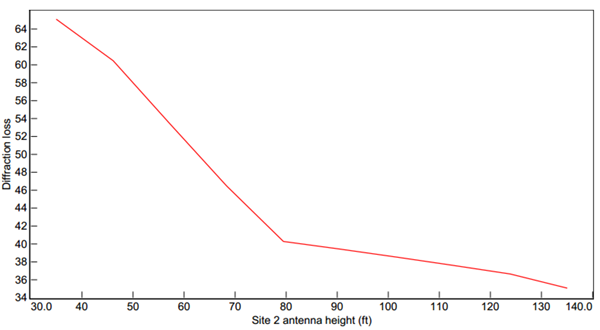 In the figure below, we can see that after 80 feet, the impact of additional antenna height is minimal, and the placement of the antenna at a higher elevation would not be significantly beneficial. Area maps are plotted to show an overview of the study area. 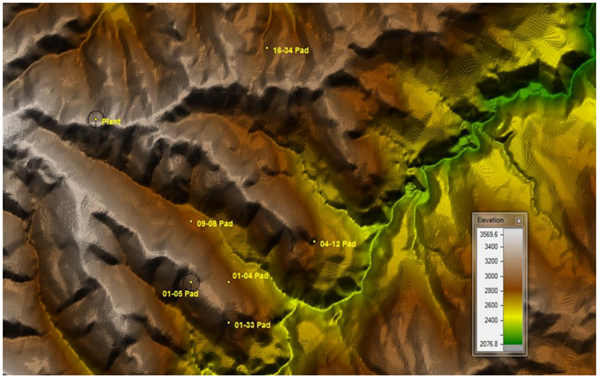 These are usually presented as overlays on satellite imagery showing site locations with major roads and terrain. 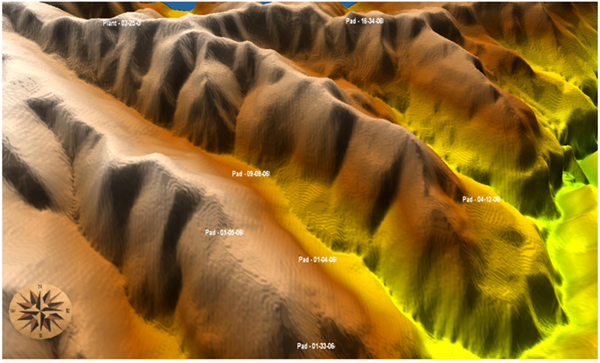 Terrain maps show the elevation difference of the area, and are useful in identifying low/high spots to assist in selection of repeater sites. 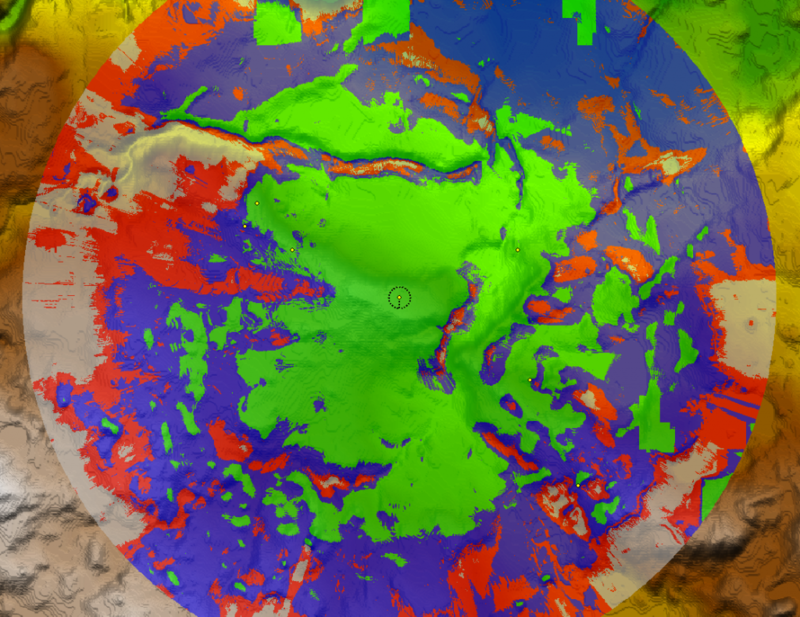 Coverage maps show the expected signal quality based on the equipment being used for the application. 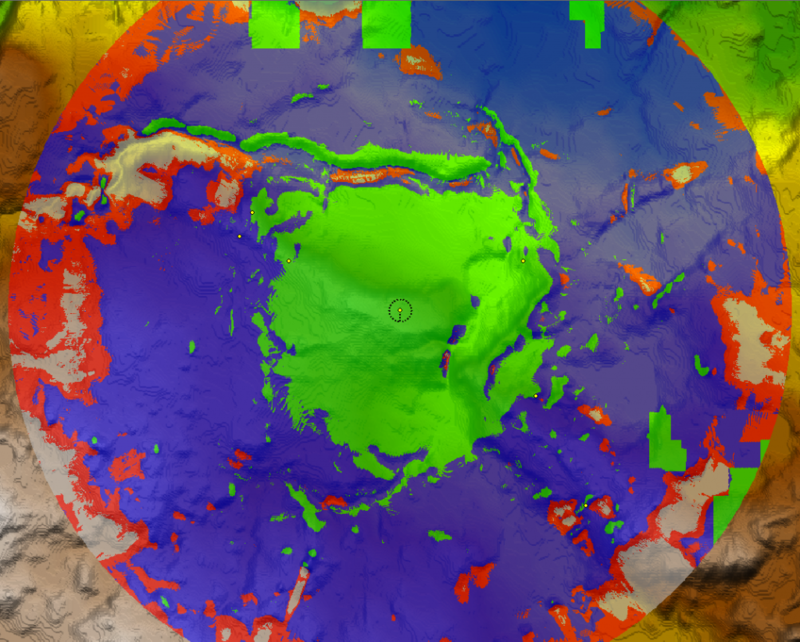 For the coverage maps above, the top shows cell signal quality, while the bottom three show the signal quality of licensed radio. The first two out of the set of three show the differences in varying antenna heights, and the third shows the results of selecting a different location for the main tower. 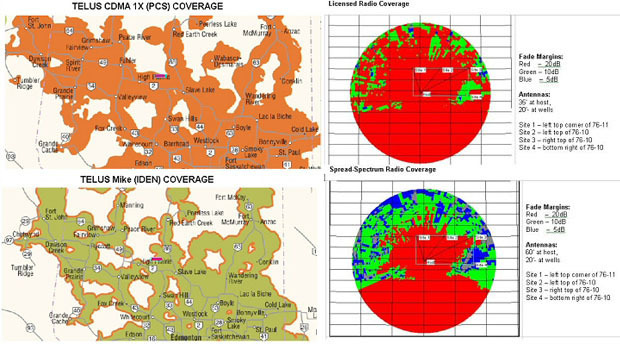 Examples of Cellular, Licensed and License-free communications coverage maps are shown below. 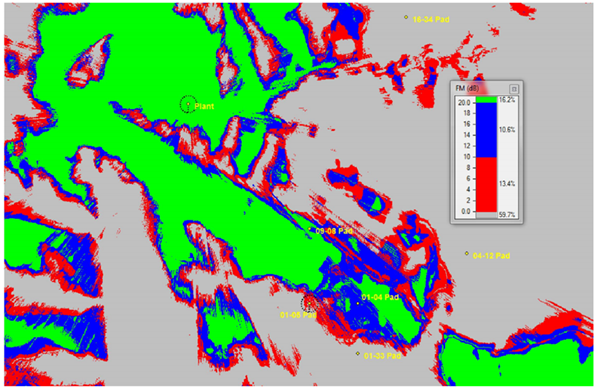 Coverage maps are used to compare various RF solutions and to select the optimum one. 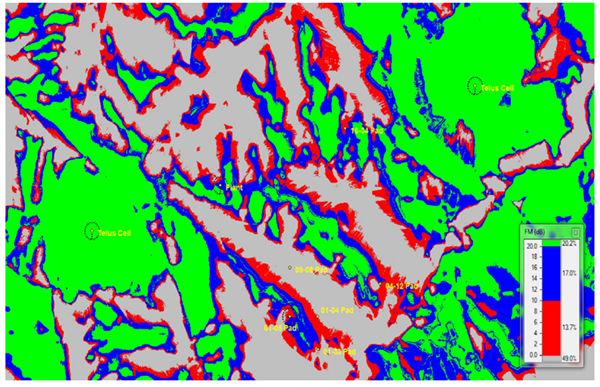 Telco coverage maps give a idea of cellular coverage in the study area. 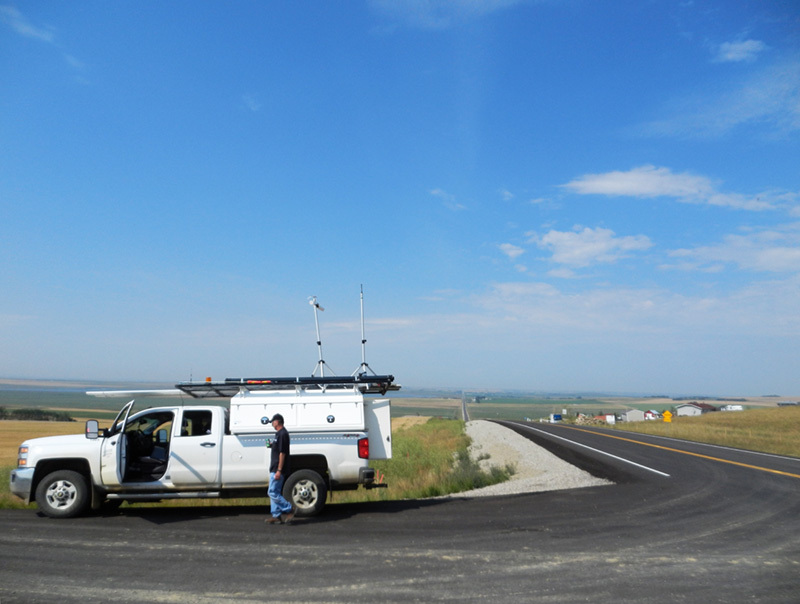 Bentek Systems performs cellular coverage and RF path profiles to provide a more accurate estimate of RF coverage for selected sites. Onsite path testing is performed to verify calculated signal levels for the selected RF technology. 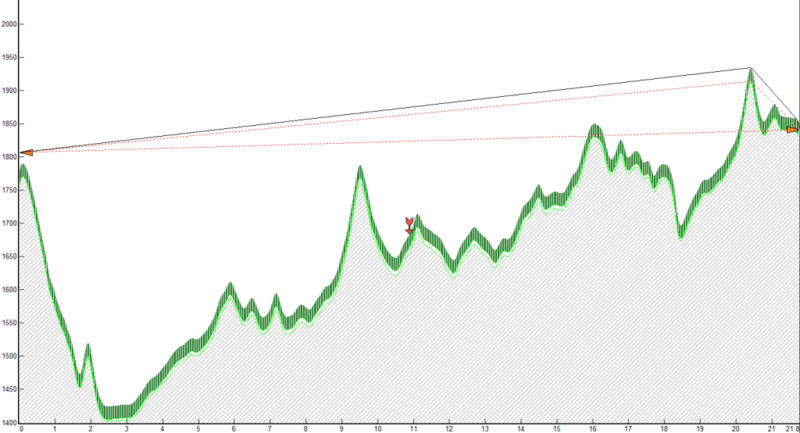 If signal level is better than estimated, the extra cost of radio towers may be avoided. If the signal levels are much worse than expected, the path testing may prevent unreliable paths. For cellular networks, path testing is often necessary as radio tower information may not be available or fully up to date. Path testing and onsite site inspection is recommended in design of critical paths and RF paths with an estimated marginal signal. 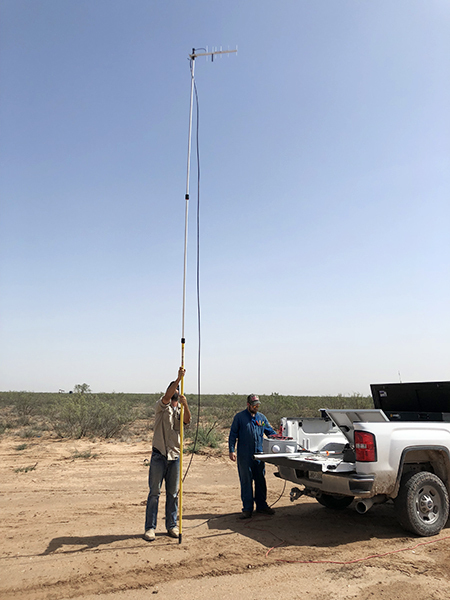 During the onsite path testing, alternative RF technology may be tested if the proposed RF frequency band proves to provide inadequate fade margin. 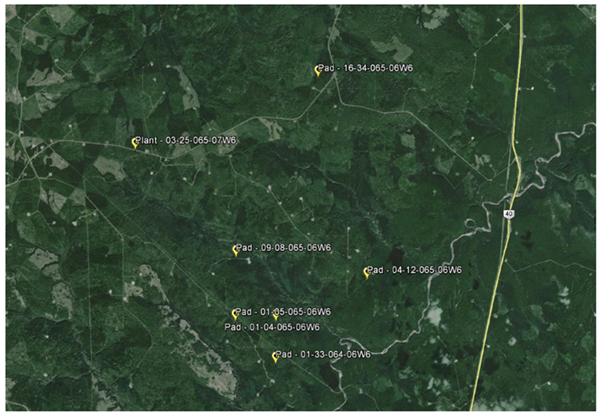 Path testing is performed using RF test equipment and the actual proposed communications equipment. For large scale RF systems, documentation of the path studies is very important for installation, commissioning, and maintenance. 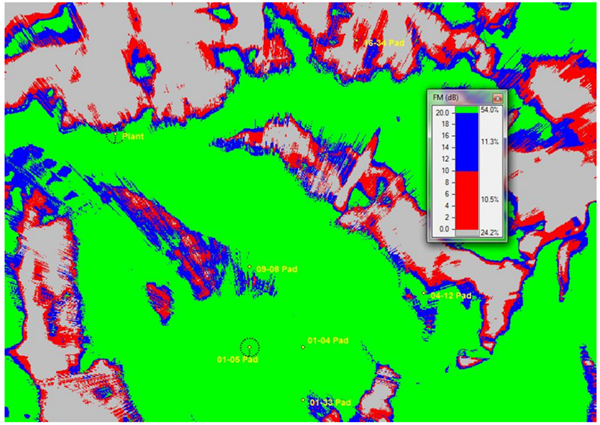 SCADALink Locator Enterprise is used to store path study results, path calculations, and coverage maps. This can be important for system installation and commissioning to define antenna height, direction, and document actual signal compared to expected design signal levels.